Pontiac GTO hooded sweatshirt. 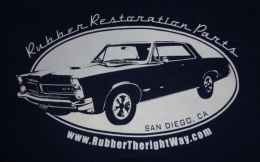 GTO image on back side, RTRW logo on front left breast. Available in navy blue only, sizes small-XXXL. THIS IS A MADE TO ORDER ITEM - PLEASE ALLOW 2-3 WEEKS FOR DELIVERY.